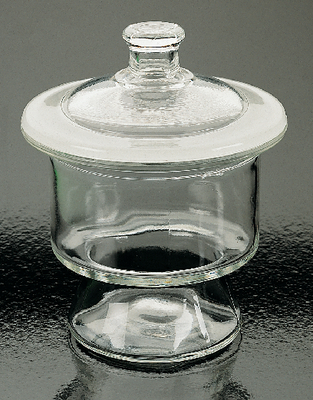 Made of clear glass with thick uniform walls and a heavy, broad flange. Cover with molded knob is ground to fit the flange perfectly. Porcelain plates sold separately.